This quote is striking, and a bit biting. As a “halfway” believer, a decision to do this is potentially damaging to my happiness. As I count the cost I start doubting my heart. I say to myself, “who can make this decision?” Can I really renounce my life like this? Perhaps this religion thing has gone too far?! Then, I have to reflect that the Son of God has died for me. And that changes everything. Such a price, and such an investment was made. How can I resort to half measures? To respond like seems like to diminish His sacrifice. And yet I roll this truth around realizing that its logic is valid. The ‘pointy parts’ hook on me as I acknowledge their truth. There is a specific ultimatum that is inherent in this. If I don’t surrender, I will not be saved. Without denying myself, I will not be free. I can’t have it any other way. we must actively be doing what He did. Can anything so eloquent be so brutal? Jesus consistently demands everything. Perhaps this is the only way Christianity works? We must be renouncers as well as repenters. We must say, “Yes, God” when we want to live forever. In short, God must be all we live for. A religion of half measures is not Christian, it is merely a convenience. To follow Jesus is to be radical; and perhaps insane (the worlds evaluation). But to love Jesus demands a “first-love” approach. Anything else is hardly adequate. The gospel is radical, or it is nothing. CLIVE STAPLES LEWIS (1898–1963) was one of the intellectual giants of the twentieth century and arguably one of the most influential writers of his day. He was a Fellow and Tutor in English Literature at Oxford University until 1954. He was unanimously elected to the Chair of Medieval and Renaissance Literature at Cambridge University, a position he held until his retirement. He wrote more than thirty books, allowing him to reach a vast audience, and his works continue to attract thousands of new readers every year. 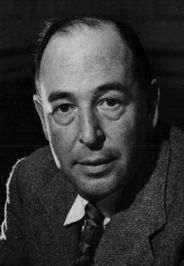 His most distinguished and popular accomplishments include Mere Christianity, Out of the Silent Planet, The Great Divorce, The Screwtape Letters, and the universally acknowledged classics The Chronicles of Narnia. I was just writing in my journal that I should be fearful of such an almighty God. That if I am not fearful and if I do not obey nor love him enough, there is huge question about whether my faith is in operation. Perhaps this post is important to me right now. I’ve maybe kept too much from God.